Living my entire life in Spartanburg County, South Carolina, I have heard many folk tales of the mountains. I have many ancestors from North Carolina, and the stories that have been passed down to me are nothing short of magical. So when I heard about Serafina and the Black Cloak, with its Asheville and Biltmore Estate setting, I knew I had to read it. Twelve year old Serafina lives in the basement with her Pa in the basement of the Biltmore Estate. Set during the time in which the Vanderbilts flourished, Serafina must be kept a secret. As C.R.C (Chief Rat Catcher), Serafina must be very careful and quiet as she slithers through the dark corridors at night. 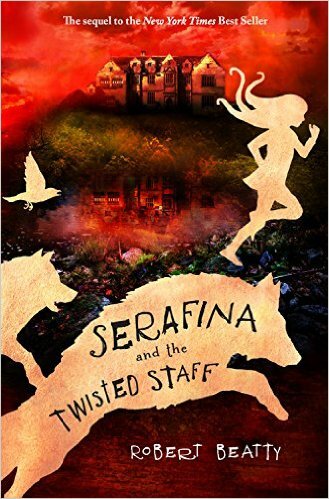 Her Pa found her in the Asheville forest when she was first born and took her in, but since he didn't have a child, he knew he had to keep Serafina a secret at Biltmore, or risk losing his job. 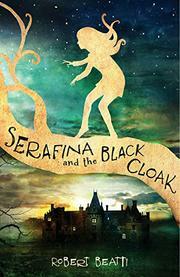 But when Serafina encounters the Man in the Black Cloak, her life changes forever. From the very first chapter, Robert Beatty throws his readers into a magical world in a place that hosts thousands of visitors each year. I have visited the Biltmore House at least three times in my lifetime, and the descriptions that Beatty paints so beautifully are exactly the way I remember them. Serafina's devotion to discovering the identity of the Man in the Black Cloak pushes the novel forward at such a pace, the reader must stop and catch their breath. But with the fast, intriguing pace, Beatty includes so many rich details and clues to the disappearance of Biltmore children, that the reader becomes one of Serafina's companions.